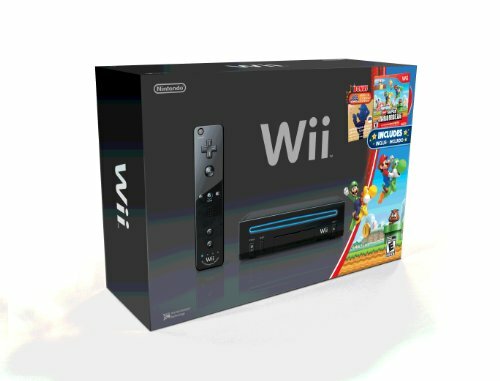 Includes Black Wii Console, Black Wii Remote Plus, Black Nunchuk, New Super Mario Bros. Wii game pack and Super Mario Galaxy Official Soundtrack. 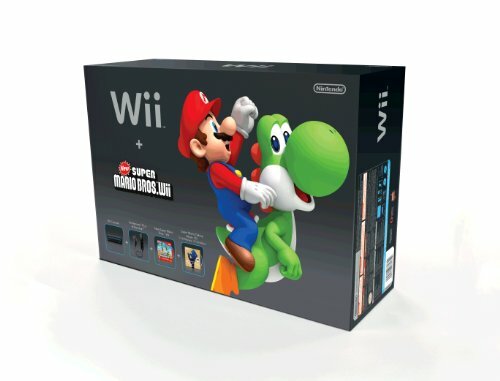 New Super Mario Bros. Wii: A classic Mario adventure that everyone can enjoy. This Side scrolling Platformer for 1-4 players has a game rating of "E" with Comic Mischief. Language is English, Spanish and French. 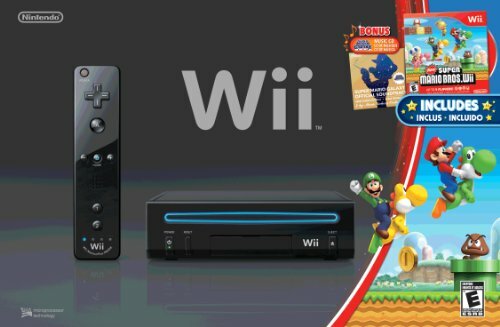 Mario has made a mighty leap out into the galaxy. We've also made the leap to full surround orchestration for the music that paints the backdrop to Mario games. Much as a multitude of stars come together to create a galaxy, many musicians have come together to create music to fill your hearts.